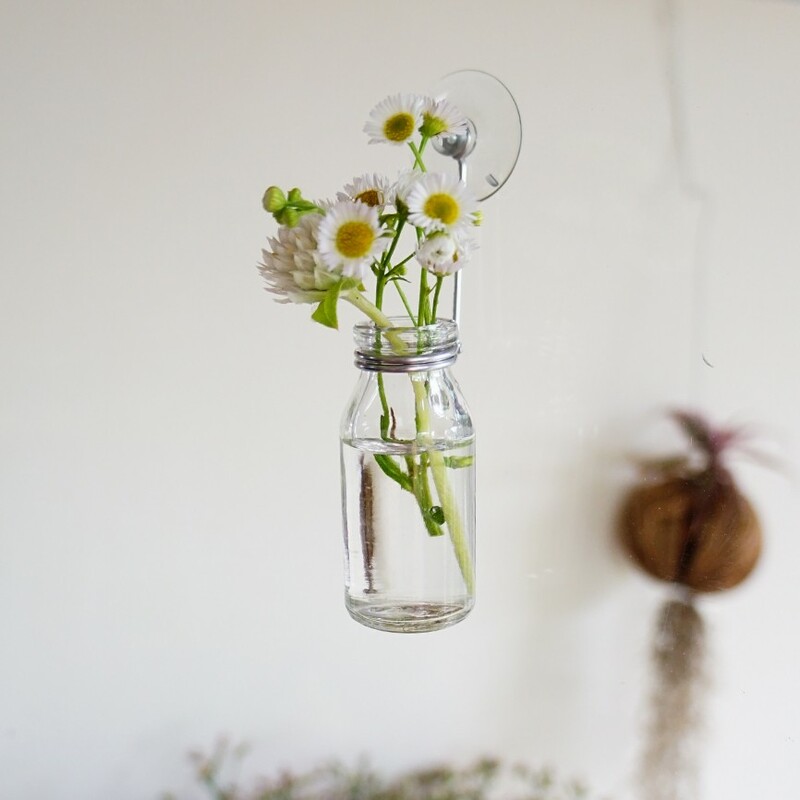 These hanging flower vases brighten up every corner of your home! 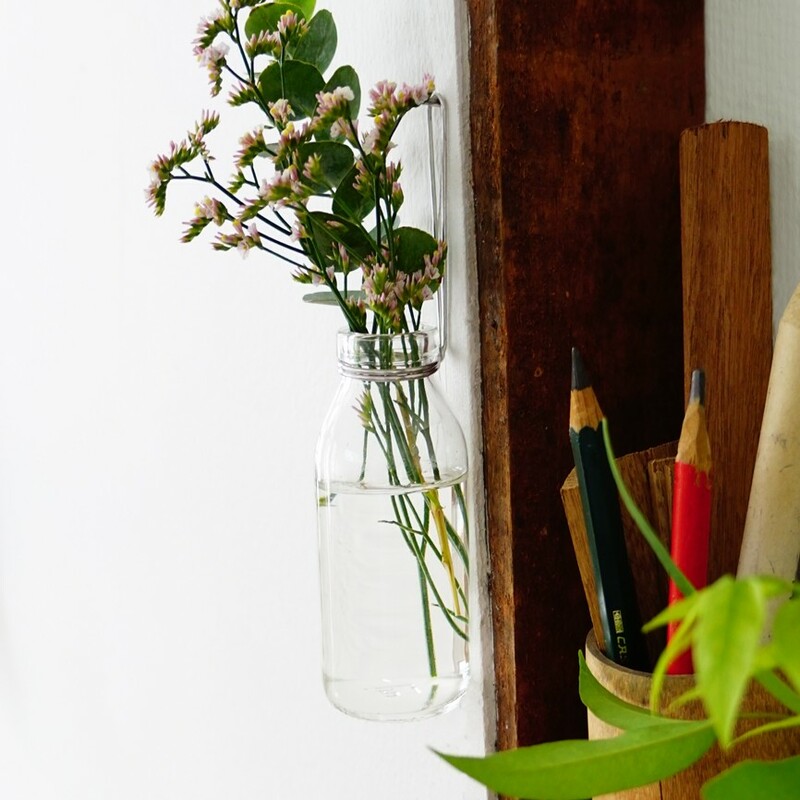 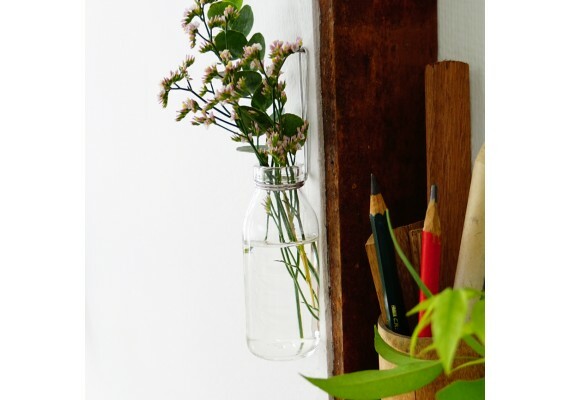 Thanks to the sucker system the vase can hang on your window or a mirror and the large format, combined with a nail, can also be hung against the wall. 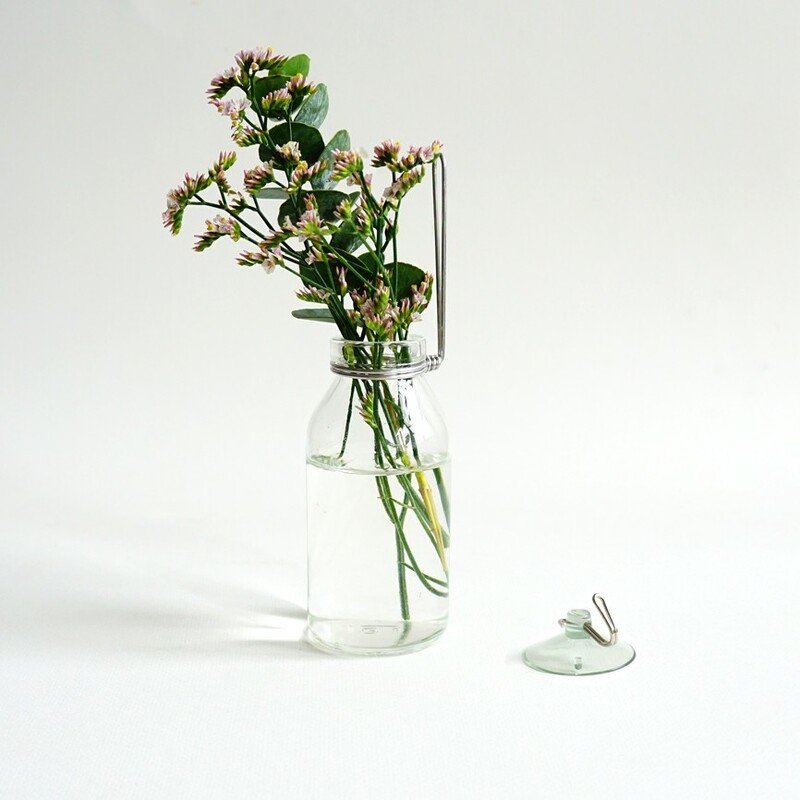 No fresh flowers in the house? 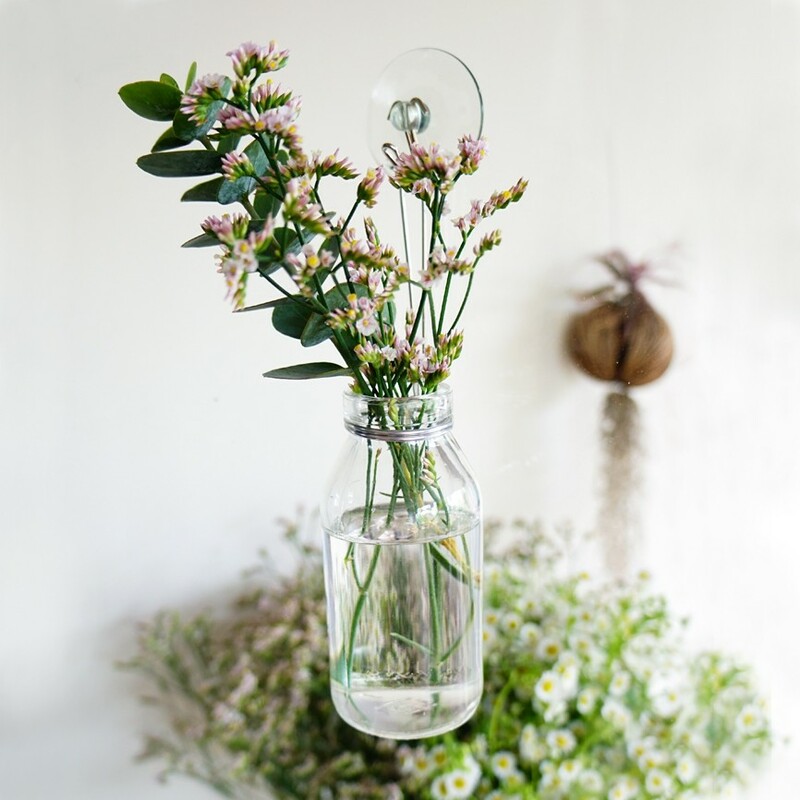 Use the bottle vases in the kitchen and fill them with colorful straws or fresh herbs! 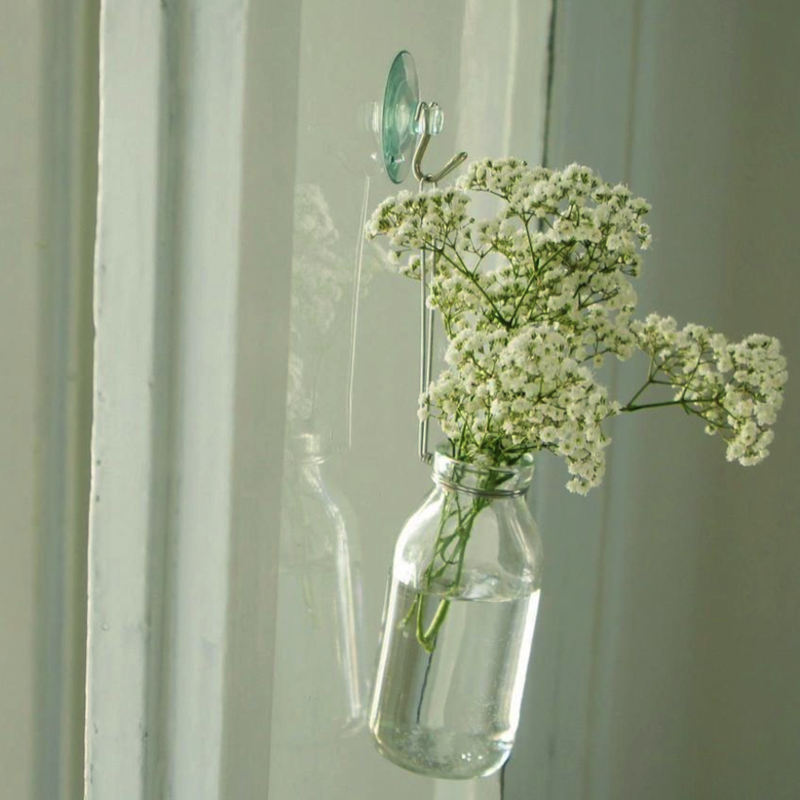 The large bottle is 11.5 cm high, the iron wire that hangs the bottle is 9 cm long. 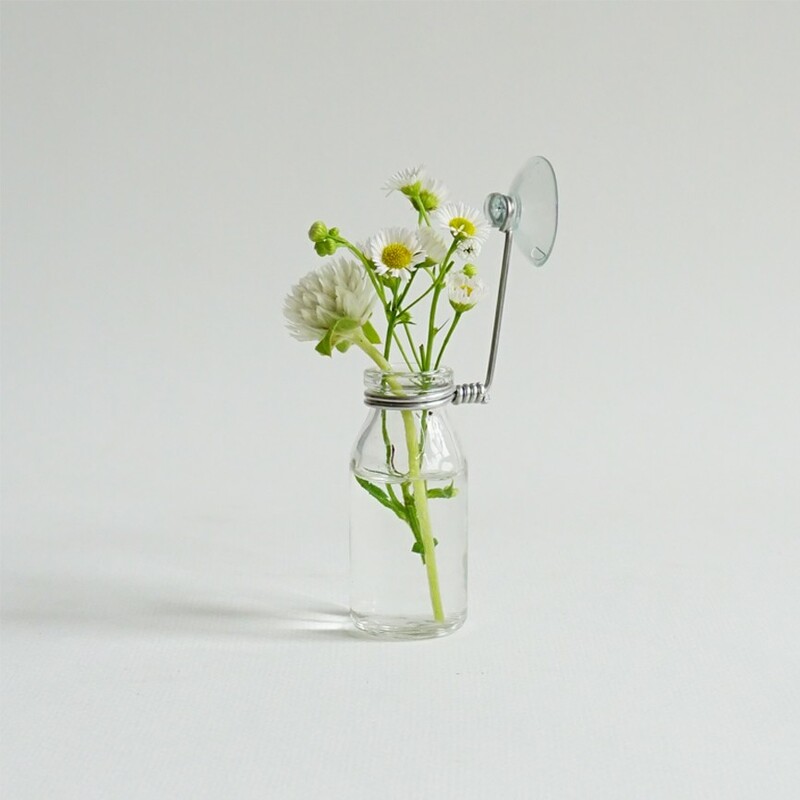 The mini bottle is 4 cm high, the iron wire that hangs the bottle is 7 cm long. 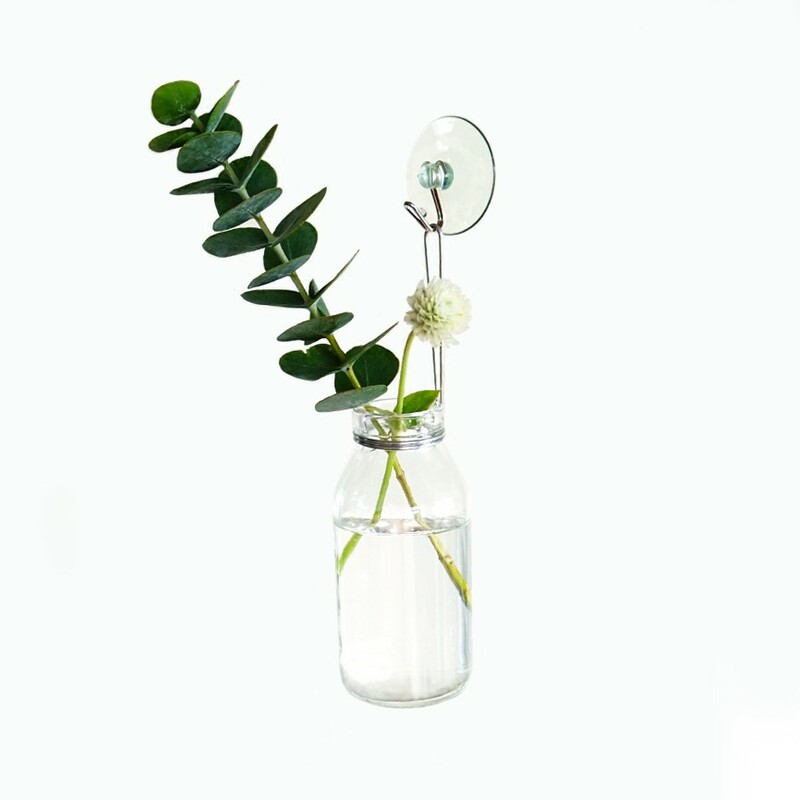 The bottle and the iron hook come with a plastic sucker.